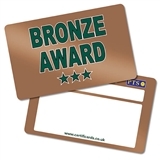 Reward your pupils for a good effort with these high quality 'Bronze Award' CertifiCARDS. 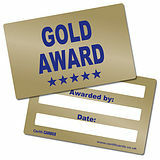 You can use these CertifiCARDS to motivate your learners to try as hard as they can, whether in your school sports day or class quiz. 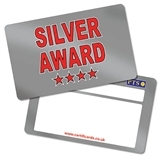 Each card has space to add the pupil's name, your name and the date.